Award-winnning journalist Kerry Barrett joined “Today in New York,” NBC 4 New York’s 4:30 a.m. – 7 a.m. newscasts, in March 2015. 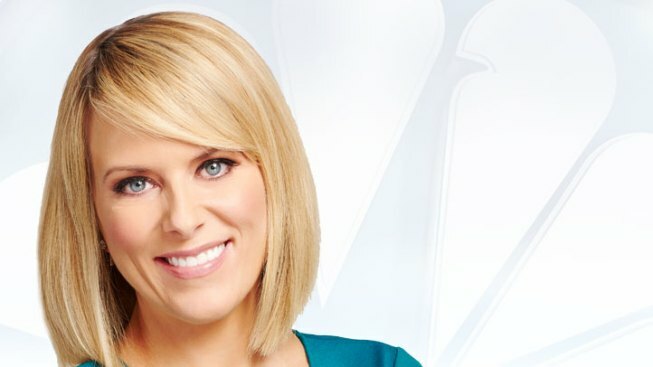 Barrett comes to NBC 4 New York from WTXF in Philadelphia, Pennsylvania, where she anchored "Good Day Philadelphia" and the 5 p.m., 6 p.m. and 11 p.m. weekday newscasts. Barrett co-anchored "Eyewitness News Today" for KSL in Salt Lake City, Utah and was a reporter and fill-in anchor at KNXV in Phoenix, Arizona. Barrett began her career in Texas as an anchor/reporter for KFDX in Wichita Falls. Barrett’s career highlights include a two-week assignment to Balad Air Force Base in Iraq, where she produced and reported a 30-part series on the deployment of local airmen. One of those airmen was her husband, John, who is an F16 pilot with the New Jersey Air National Guard; it remains her favorite story. Barrett is a proud supporter of our men and women in uniform. Barrett has received awards from the Utah Broadcasters Association and the Society of Professional Journalist. Barrett lent her time and energy to her community and volunteered with the Pennsylvania S.P.C.A., Big Brothers/Big Sisters and Whispers of Hope, and because of her love for children and horses, volunteered for an organization that rehabilitated abused horses used for horseback riding therapy for kids with developmental challenges. Barrett loves to travel; her favorite trips include Cambodia, Thailand and India. Barrett spent much of her childhood in Britain and the Middle East. Barrett’s education, career and travels took her across the globe and to the four corners of the country. Her roots are in Pennsylvania and New Jersey, where her entire family lives. Barrett holds a bachelor’s degree in speech and communications from Clemson University and a master’s degree in Telecommunications from the University of Florida. Barrett and her family live in New Jersey with their rescue dog, Peanut. Please follow her on Twitter and Facebook.